1. Is the pathologist certified by the American Board of Pathology? Graduated with an M.D. Or D.O. Degree from an American College of Graduate Medical Education (ACGME) accredited medical or osteopathic school. Licensed to practice allopathic or osteopathic medicine. Has passed qualification examinations in Anatomic Pathology and Forensic Pathology. Be aware that there are experts who use degrees from on-line “diploma mills” and sham certifications can be purchased. 2. Where was the pathologist educated and trained? Ask for the expert’s curriculum vitae or resume. Don’t be impressed by the multitude of pages, but look at the content. Have you heard of the universities? Do they have a good reputation? If a doctor is not foreign-born but they chose to go to an off-shore medical school, it is sometimes an indication that they couldn’t get into medical school in the United States. Foreign medical graduation alone should not concern you if the doctor has subsequently completed residency and fellowship in the United States and passed their Board examinations. It is important to look at where they did their fellowship training: the most prestigious forensic fellowship programs are either in large cities (such as New York, Miami) or part of a centralized State-run Medical Examiner’s Office (such as in New Mexico or Virginia). There is also an excellent forensic training program through the Federally-financed Armed Forced Medical Examiner. But even programs with good reputations can undergo seismic changes if there is a scandal or the Chief retires. You can always Google search the name of the program along with the word “scandal” and see if any news reports come up with the expert’s name on in. If you don’t do this, opposing counsel definitely will. 3. Do they come recommended? Few lawyers take the time to ask for references, but if you are finding an expert witness via the internet, or by using an expert witness referral service, it is a good idea to ask the expert for lawyers they have worked with recently. Only another lawyer can tell you if the expert was readily available, reasonably priced, easy to work with and understandable. The lawyer can also tell you whether jurors understood their testimony, since most pathologists don’t get feedback directly from the people they are being hired to educate. 4. Are they currently practicing forensic pathology or are they a “professional expert”? Many forensic pathologists who practice forensic pathology full-time at a County Coroner or Medical Examiner’s Office still do some consulting as expert witnesses “on the side”. A few work part time or do per-diem work at a County facility. However, there are several forensic pathologists who have retired or left practicing medicine completely and work as legal consultants full-time. The latter group can be problematic if they are out-of-touch with the standards and requirements of current medical practice, or are marketing themselves as “hired guns”. Some have been forced to leave civil service because of ethical violations or political scandals. If you are hiring a “professional expert”, make sure they are well-qualified, highly recommended, and have their background checked. 5. What is their “bedside manner”? Many pathologists enter this field of medicine because they are more comfortable with dead bodies than with living people. Unlike academic medicine, where a pathologist has to have some teaching skills to maintain their appointment, forensic pathology is very attractive to introverted practitioners who like to work in solitude. Although all forensic pathologists are expected to testify in legal cases, and many are quite comfortable with it, that doesn’t mean they are any good at communicating complex medical issues. So when you are on the phone with the expert ask yourself if they are understandable. Do they use “Med-speak” or do they explain the medical terminology to you as they talk? Are they personable, even charismatic? While some people are not good communicators over the phone but are very eloquent in person, if your first interaction with the expert is unimpressive you may want to schedule a face-to-face meeting to see if you can understand them better. But if you can’t understand what the expert is saying – then neither will the jury. 6. What is their area of expertise? Not every forensic pathologist may have the specialized knowledge you need. A land-locked forensic pathologist from the Midwest may not know much about SCUBA related accidents. A suburban forensic pathologist may autopsy a lot of car accidents, but not a lot of multiple gunshot wound homicides. Try to match the needs of your case to the experience of your expert. If it is a rare or unusual type of death, try to find an expert who has published on the subject. One way is to go to the National Library of Medicine (PubMed) and search the database for articles on the topic. Who is the primary author on most of the publications? Depending on the journal, many articles print the author’s contact information in fine print at the beginning or the end of the article; and if the primary author doesn’t do consulting, you can always ask them to recommend someone in their field of expertise who does. 7. Do they have experience testifying in cases such as yours? Most forensic pathologists who practice in a City or County Coroner’s office are very good at testifying in criminal cases, since they get a lot of on-the-job experience testifying for the District Attorney’s office. But not all of them have frequent contact with Public Defenders or defense attorneys, so if you are a defense attorney, you want to make sure your expert has experience and understands the needs of the defense. 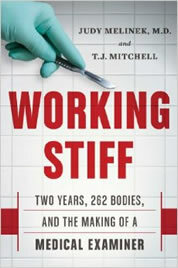 Also, few practicing forensic pathologists have experience testifying in civil matters as a routine part of their job. The questions you may need them to answer may be beyond what their experience and training allows, or outside their “comfort zone” as an expert. For example, in an industrial accident, most forensic pathologists will be able to testify to the cause of death and the mechanism of death, but not all have the specialized knowledge regarding interpreting scene investigation to answer complex questions such as: What position was the person in when he was injured? Were the levels of drugs or medications they were taking capable of causing impairment? Make sure the pathologist has experience answering these types of questions before you hire them. 8. What is their expectation of their role? Some pathologists see their role as very limited: you send them the material they need (typically medical records, police or incident reports, an autopsy report and microscopic slides) and they tell you what they think and write a report. Others will be more accommodating in offering you additional legal support: looking up references and articles, educating you and your staff about the medical issues as they come up, helping you understand the medicine so that you can formulate good questions for deposition or trial, and writing affidavits. If you ask, the individual expert will usually tell you up front what you can expect from them. You should also ask if they understand the different expectations of opinions written to comply with Frye versus Daubert rules of evidence. If an expert works in a Frye State and has never testified in Federal court, they may not be familiar with what Daubert standards are, and you will need to be more assertive in educating him or her about your jurisdiction’s particular needs or legal quirks. This is a pretty good litmus test for communication skills. The most successful expert witnesses understand the complexity of their subject matter, but can find a way to simplify their terminology to make the subject accessible to a lay person. The average juror does not have an advanced educational level and is going to get lost unless the expert can speak to their level. Just because an expert has an academic appointment at a medical school or university does not mean they are good teachers. Just about any big-city Medical Examiner or Coroner’s Office has academic affiliations because the local pathology residents are required to do a forensic pathology rotation. Does the practitioner have teaching awards? Do they teach groups other than doctors? If they do, then this is a pretty good indicator that they are comfortable with public speaking and can adjust their language appropriately for the audience. 10. How can you balance your needs with the pathologist’s expertise, their proximity, availability and your budget? Finding the right expert for your needs is a balancing act, and it requires you to be up-front with your expert about costs and expectations. The expert should have plenty of experience with similar cases to give you an estimate of how much time it takes him or her to review materials (for example: an inch of medical records usually takes an hour) or to research and write reports. A local expert with minimal experience may be sufficient if the case is a local one and you are on a tight budget; but you may need an internationally-renowned and published expert from far away if the case is a multi-million dollar class-action lawsuit. Obviously, the more famous or further away an expert is, the larger the expenses will be, and it is best to discuss these issues openly with your expert up-front so that there are no misunderstandings or scheduling complications as deadlines approach.